The knee has many nerves, but three, the genicular nerves, have a relatively precise presentation, meaning they are almost always where they are supposed to be. This consistency enables interventional pain management physicians to address and control knee pain by inactivating these nerves by shocking them with a small radio frequency current, causing the tissue to heat up and become inactive. If nerves are inactive, they cannot carry pain signals to the brain…therefore the pain is decreased, often almost completely. Patients undergoing radio frequency ablation face a two-step process, the first of which is diagnostic. Using minimal sedation, the physician numbs the genicular nerves by using real-time x-ray and then monitors and gauges the patient’s pain level. If simply numbing the nerve decreases the pain, the patient is a good candidate for the ablation procedure. “Some patients feel almost 100% relief that lasts 6-9 months or longer,” says Dr. Taimoorazy. The procedure can be repeated 1-2 times per year, if necessary. Perhaps even more exciting for knee pain sufferers is who the likely candidates are for the radio frequency ablation procedure. 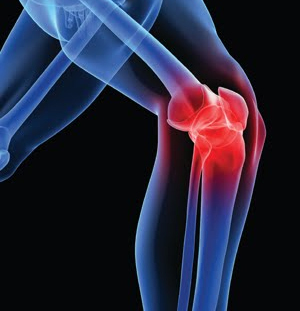 For more information about knee pain diagnosis and treatments, you may contact your local Dr. Benjamin Taimoorazy at Guardian Headache and Pain Management Institute, Located in Bloomington Illinois . For more information about different kind of headache, you may contact your headache specialist at Guardian Headache and Pain Management Institute, Located in Bloomington Illinois .